By her side. 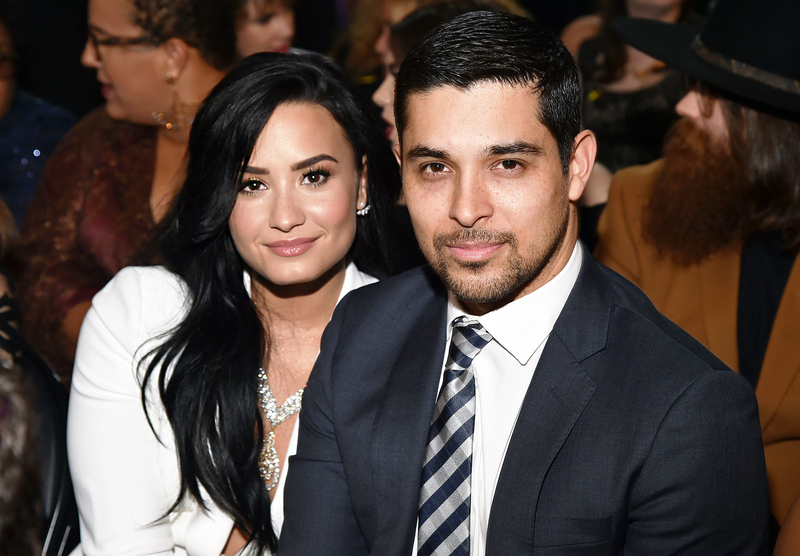 Wilmer Valderrama visited his ex-girlfriend, Demi Lovato, at the hospital one day after the singer’s overdose. Us Weekly confirmed on Tuesday, July 24, that Lovato, 25, was taken to the hospital following an apparent overdose at her house in L.A. A source told Us on Tuesday that Lovato was given Narcan, a drug used to treat narcotic overdoses in emergencies. News of Lovato’s hospitalization came a month after the “Sorry Not Sorry” crooner revealed she had relapsed through her song “Sober” after six years of sobriety. Valderrama, 38, first met Lovato while shooting a Voto Latino PSA to encourage Latino Millennials to vote in 2010. The pair were then spotted together on multiple occasions in 2011 after Lovato completed her first stint in rehab. The former That ‘70s Show star and the Disney alum dated on and off for nearly six years before announcing their split in June 2016. A source exclusively Us Weekly on Tuesday that Valderrama was “completely devastated” following the news of Lovato’s overdose.